Beginning in late 1787, Noah Webster, the famous American founding father, published a short-lived monthly periodical entitled ‘The American Magazine’. 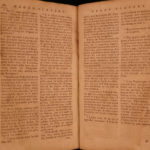 Webster employed the minds of several authors to write essays promoting education reform, cultural concerns, and national pride with the attempts of establishing a national magazine – something that had not yet happened in America. Extracts from Thomas Jefferson arguments of an ‘unalterable constitution’. 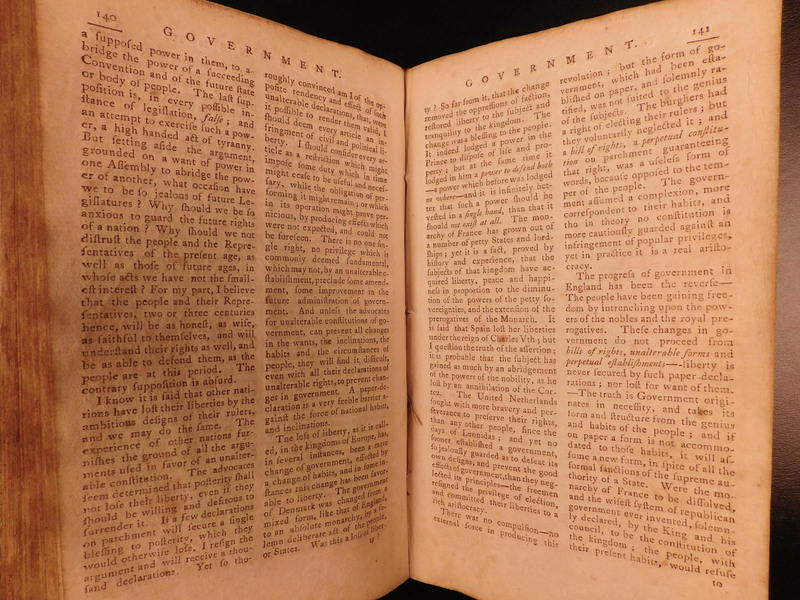 Note that this entry is in the volume that was published the same month as the first ratification of the United States Constitution. These volumes contain 2 impressive full-page engravings of inventions as well as one portraying Native American tobacco pipes!